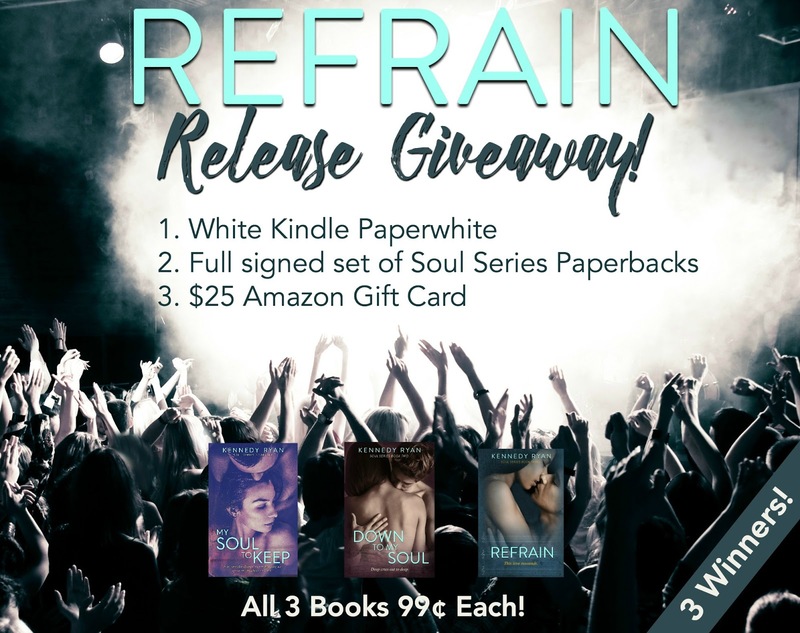 and Complete Soul Series Release Week Sale! 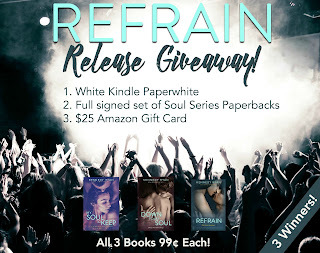 All three books on sale for 99¢! Catch up on books 1 & 2! They MUST be read before REFRAIN! Go to Kennedy's Facebook Author Page to enter!